High Shear Dispersion Grinder Pump – Arde Barinco, Inc.
Mixing machines are quite versatile, and can be used in a number of different industries, where they eliminate human error. Industries like these include food processing, oil and gas, construction, and industrial manufacturing. In food processing, they typically used during the addition of substances like preservatives or food coloring. On a much smaller scale, mixing machines can be used by hand in the home for activities like mixing cake batter. In construction, they can be used to make slurries like cement. 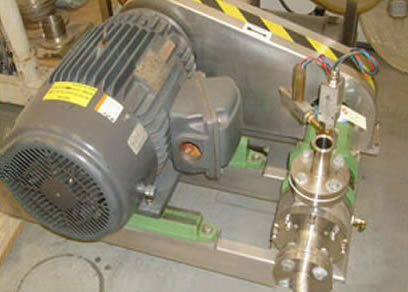 In other industries, mixers are important because they provide the space and motion required for bonding and chemical reactions to take place. 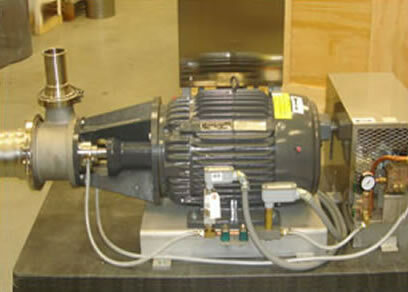 Continuous High Shear Homogenizer Mixer – Arde Barinco, Inc. However, for the very best results, we recommend you seek out a high caliber mixing machine supplier with whom you can discuss your specifications at length. A manufacturer can make or break your application solution, so make sure that you find the right one. Who is the right one? The right manufacturer listens to you, takes all of your requirements seriously, respects your deadlines and budget, and, most importantly, sees your application as more than a bottom line. To find a manufacturer like this, scroll over to “Leading Manufacturers,” which you can find next to “Mixers,” and click on it. There you’ll see a dropdown of reputable and proven mixing machine companies. Explore their websites and, once you’ve found a few that interest you, reach out to one or more of them with your questions. Compare and contrast their answers, and make your choice. Good luck! Mixing Machines Mixing machines, also known as mixer machines, are equipment designed to mix, blend, and otherwise combine two or more materials.